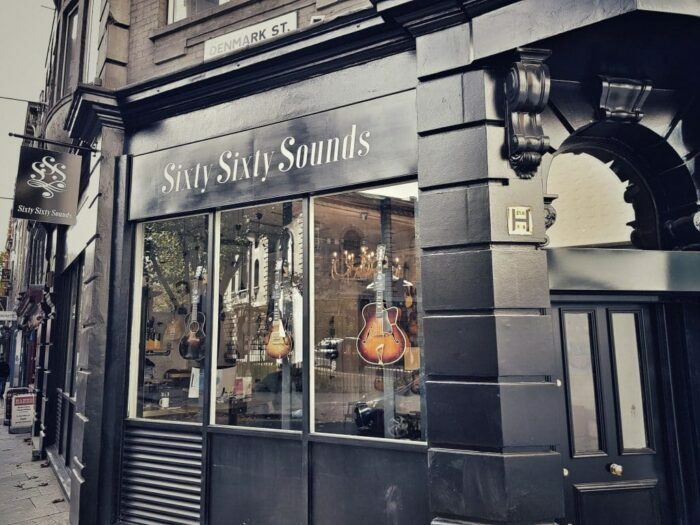 Here at Sixty Sixty Sounds we specialise in Gibson and Epiphone guitars as well as Orange, Marshall and Black Volt amps. One of our key aims for the store is to work closely with our brands to design completely bespoke pieces. Jan Smosarski, who has worked on Denmark Street for over 8 years, built up a reputation for designing unique Gibson Custom Shop guitars as well as pushing the boundaries with both James Trussart and Marshall. We want to take the opportunity to use our store as an event space offering a platform for both aspiring and established artists to share their music. We’re also keen to grow our YouTube channel around showcasing all the talent that comes through our door, our goal is to give back to the musical community. Don’t forget to follow us on your preferred social platform to keep up-to-date on future events! For all your set-up and repairing needs, our resident guitar technician is none other than Denmark Street and all round legend, Andy Gibson. Find out more about Andy and his work here. If you have any questions please feel free to get in touch with us, we’ll be more than happy to assist you.